Online ordering menu for CROC SOUP COMPANY. 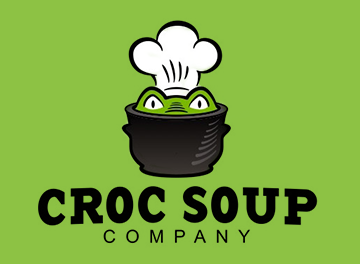 Croc Soup Company was established in 2011. We specialize in homemade Soups but that’s not all…We also have fresh crisp Salads, and made to order premium Sandwiches, hot Paninis and Delicious Wraps. Looking for a morning jump start? Check out our hearty breakfast Burritos and specialty Coffee’s, Lattes and Espressos. Our menu changes seasonally to bring you the freshest ingredients for all our offerings. Try our cold Soups, like Gazpacho during the warmer months. It's our love for food and flavors from around the world that helps create our menu. Stop in next time you’re in our neighborhood, were sure you’ll find something yummy for you and the whole family! In a hurry? Try our new online ordering feature to get your Sandwich and Soup fix faster!